Just read an interesting article on a new voice recognition software able to detect how you are feeling. 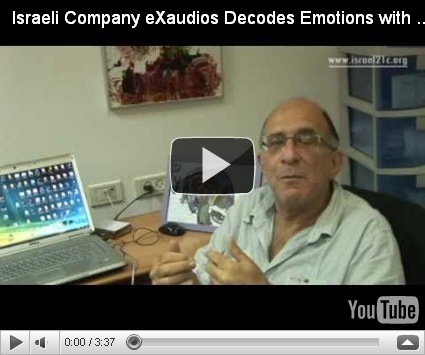 The emotional decoding software has been developed in Israel and sounds interesting. The technology, developed by eXaudios Technologies, is already being used to transform the world of tele sales (sadly…), and future applications could include diagnosis of conditions such as autism and Parkinson’s, as well as their severity. I believe there is mileage in looking at applications of voice and face recognition to understand fatigue/staleness and stress in athletic populations as well as in coaching staff. Previous work by Greeley et al. has suggested the possibility of detecting fatigue with voice recognition. Work by Ruiz et al. (1990) already suggested the possibility of voice analysis to detect psychological or physical state of an individual. All I can say is that this technology is part of a speculative grant application to look at a multidisciplinary approach to understand and quantify stress and fatigue in various populations. Let’s hope it gets funded so you may see the results in few years time! In the meantime, the video from Exaudios technologies is here.